The weeklong "International Forum on the Daodejing" closed Friday with a declaration calling for building a harmonious world through the way of Tao. 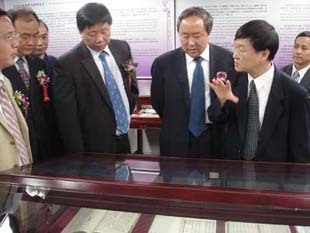 It stated that mutual respect and peaceful co-existence of different cultures, nationalities, and religions are the foundations for this endeavor. 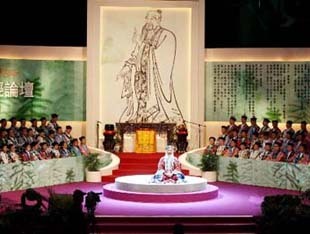 This year will mark the 10th anniversary of the return of Hong Kong to the motherland, and coincidently, at the ancient Louguantai Temple in Xi'an, an inauguration ceremony will be held for the expansion of Laozi's Preaching Platform. 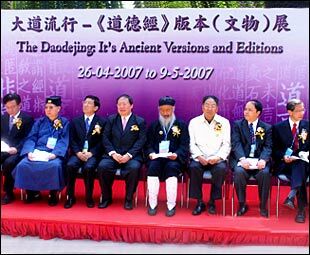 By synthesizing these great events, Taoists announce that they have decided to hold an International Forum on the Daodejing in Xi'an and Hong Kong in April 2007. 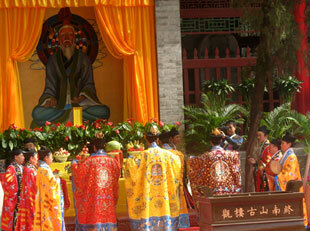 Taoism is an indigenous traditional Chinese religion whose fundamental purpose is to help seekers attain transcendence. 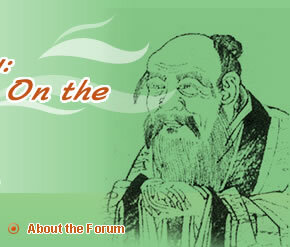 Taoism originates from ancestor worship, belief in ghosts and gods, Taoist philosophy, as well as mystical practices. It is generally believed that Taoist organizations were formally established 1,900 years ago by Celestial Master Zhang Daoling during the reign (AD 126-144) of Emperor Shundi of the Eastern Han Dynasty.